PUTRAJAYA, Feb 25, 2015: The Health Ministry will adopt two initiatives to overcome the threat of dengue in the country. Health Minister Datuk Seri Dr S. Subramaniam said the initiatives were the “Outdoor Residual Spray (OPS)”, a new technique of spraying at Aedes mosquito breeding places and introducing a new anti-mosquito paint. Dr Subramaniam said these steps were necessary due to the rapid increase in the number of dengue cases in the country as 21,310 cases were reported from January to Feb 21, resulting in 54 deaths, compared with 13,915 cases that caused 25 deaths during the same period last year. Speaking at a press conference at his ministry today, Dr Subramaniam said the implementation of OPS started on Feb 11 in Selangor in four districts, namely Petaling, Hulu Langat, Gombak and Klang. Dr Subramaniam said the paint was the brainchild of the Institute of Medical Research (IMR). Once painted on a surface, it has the ability to kill mosquitoes upon contact. “The ministry has the pattern for the paint and we can source for the material and chemicals for making the paint, but we cannot manufacture the paint. “Therefore, we are discussing the prospect of producing the paint with companies.” Dr Subramaniam said chemicals used for the two products to combat the dengue menace were safe and did not pose any health hazard. He said through “Ops Gempur Tapak Binaan“, which was aimed at construction sites, 52 construction sites were found to be breeding grounds for Aedes and the owners were charged in court. Another 44 sites were directed to be closed for cleaning purposes. PUTRAJAYA: The Health Ministry is trying outdoor spraying of a ­deltamethrin-based insecticide to kill Aedes mosquitoes in view of the record high number of dengue fever cases recently. 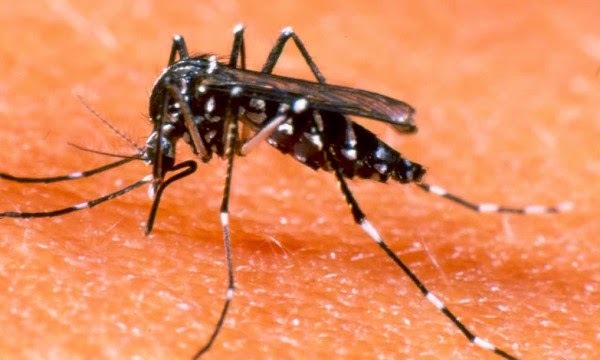 Health Minister Datuk Seri Dr S. Subramaniam said the number – more than 100,000 dengue cases with 215 deaths last year – was not only the highest the country had ever faced, but more dengue patients now had their brain and liver affected by the virus. “We take the higher number of deaths seriously,” he said at a press conference before the ministry’s post-Cabinet meeting here yesterday. He said the ministry had started the residual spraying since Feb 11 in four Selangor districts with a high number of dengue cases – Petaling, Hulu Langat, Gombak and Klang. “The effectiveness of the spray will be assessed over two to three months and if proven to be effective, we will expand the use of the spray to other areas,” he said, giving an assurance that the active ingredient was not harmful to humans. Currently used to control pests in agriculture and gardens, as well as on pets, deltamethrin is a synthetic compound that gives a broad-­spectrum effect, meaning that most species of mosquitoes and other insects will also be affected. He also reiterated the importance of doctors diagnosing dengue early, saying that two companies had agreed to lower the cost of the rapid test kit by 40%. On the dispensing separation issue, he said more dialogue was needed between the stakeholders before a decision could be made. “We will not implement anything without consensus from the various parties. “For now, the current system stays, and there is no need for ­various parties to release statements on a matter that has not been decided,” said Dr Subramaniam, who added that the new Pharmacy Bill was still under review by various quarters, including the Attorney-General’s Chambers. On Tuesday, discussions were held with the Malaysian Medical Association and Malaysian Medical Council secretariat, with four more sessions with other groups sche­duled for March. Discussions with other doctor groups will happen on March 4, with consumer groups in the second week, with ministries and government agencies in the third week, and with pharmacy associations and academia in the fourth week.